The British pound put on another strong rally today extending the trend that began last week. GBP/USD was testing the top of the 1.55 price range after the Fed decided not to lift interest rates at this meeting. GBP/JPY also moved higher to 187 as sterling extending a two week long rally. UK retail sales came in at the lower end of forecasts today. Year on year to August retail sales grew by 3.7 percent. That’s down from last month’s rate of 4.1 percent and below the consensus forecast of 3.8 percent. The drop was mainly caused by lower food sales. Clothing and household goods were up. Crude oil continued its choppy ride throughout today’s trading session. Brent fell US$1.5 to US$48. This came after Goldman Sachs lowered its price target for 2016 to $45-$20 per barrel. The investment bank also warned that prices could remain depressed for the next 15 years. The $20 per barrel level represented a worst case scenario and is certainly not supported by all market watchers. What most do agree on however is that oil prices will continue to be highly volatile in the current economic climate. 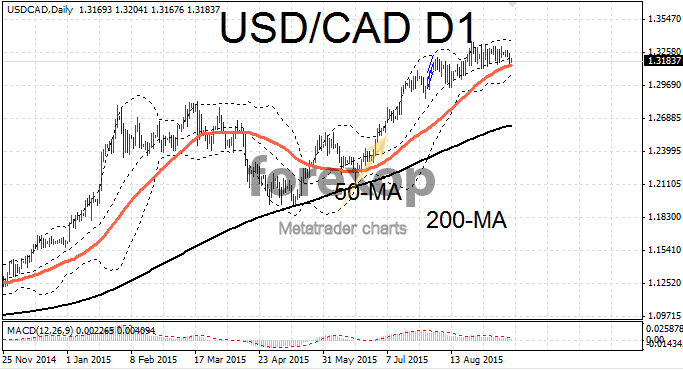 Canadian dollars were trading lower ahead of a batch of important economic data due on Friday. Core consumer prices are expected to fall to an annualized rate of 2.1 percent in August. Down from 2.4 percent the previous month. 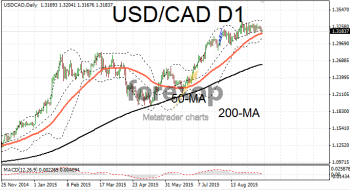 USD/CAD rose against the dollar to 1.3125 after the Fed’s rate decision. The greenback has had a strong run against the Canadian loonie as commodity prices have slumped. Despite this recent news from Canada has topped expectations. The economy remains fairly resilient to the downturn thanks to the consumer sector picking up the slack. The Bank of Canada’s interest rate cut earlier in the year certainly helped on this score.